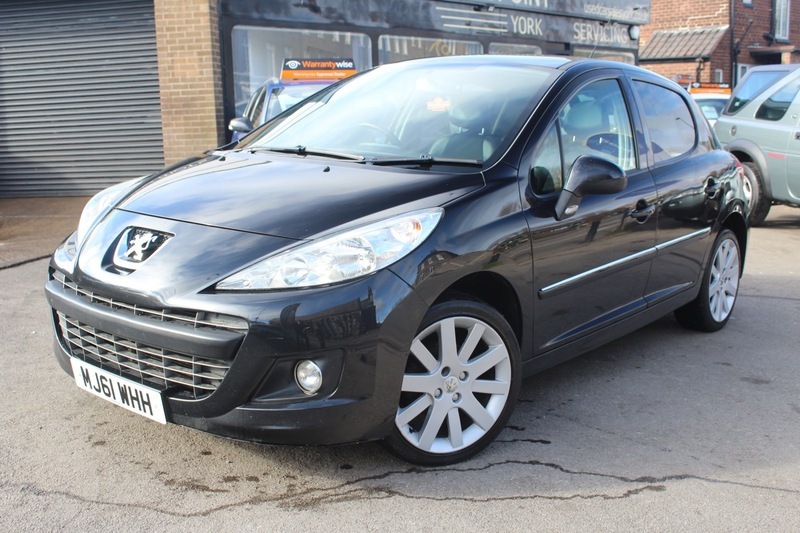 Here we have our Peugeot 207 HDI Allure finished in Black with Half Leather Interior. Previous Lady owner with Service History this 207 has been really well looked after and looks like new. The Panoramic Roof gives you the feel of an ultra spacious vehicle and amazing visibility. The 207 Also comes with ABS, Air Conditioning, Electric Windows, ISOFix, Alloy Wheels, CD Player, Front Fog Lights, Heated Mirrors, Cup Holders, Parking Sensors, Particle Filter, Privacy glass, Automatic Rain Sensor and Audio remote controls. The car also comes with MOT, 12 months Service, Warranty, Free AA Cover for a year and Pre Delivery Inspection Report.